Drug addiction is very important issue as well as it is a serious problem so threatening to our lives. Mostly our youth have become drug addicted. The highest rates of illicit drugs are found among youth ages 18 - 20. 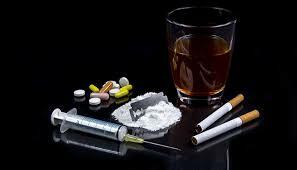 The common forms of drugs are smoking alcohol cocaine and marijuana and drinking. There are large number of negative consequences of these drugs. When one ones becomes addicted by these drugs then there is no way left behind for them except death as these drugs are slow poisoning. The prevalence of drinking increases substantially among youth and young adults. Those who drive after drinking become the cause of accidents . When the reason of drinking have been asked by teenagers, they told that they drink when they are upset or frustrated and in order to lessen their depression. They drink, some of them say, when they are bored and some drink to feel high and to fulfill the demands of their high class. Among youth use of alcohol is also very high. Use of alcohol snatches a power of thinking or senses. That is why use of alcohol and other drugs is associated with the leading causes of death and injury for example motor-vehicle crashes homicides and suicides. Now the question is how can we over come this life- threatening problem? First of all there is need to develop awareness among our young generation about this poisonous stuff. For this purpose our law enforcement officers religious leaders teachers community activists and the leaders of business can play a vital role. Our weapon to fight with this cause is our law and criminal justice system. So we should be determined to enforce the law to make our streets and neighborhood safe. The drug dealers should be arrested and punished. In order to control the drugs there is a dire need to enlarge our criminal justice system across the borders where the drugs are grown and processed and brought into streets of Pakistan. The second element of our strategy is related to media and mass- communication. We should try to spread the anti-drug massage through our media. In this connection we should encourage our media for their exhaustive news and editorial coverage and for their air time and space for anti-drug massage. Thus the total use of alcohol is by youth-including traffic crashes, violent crime, burns, drowning suicide attempts etc. By implying such system we can control the increasing rate of drugs. Our outrage against drugs unites us brings us together behind this one plan of action an assault on every front.